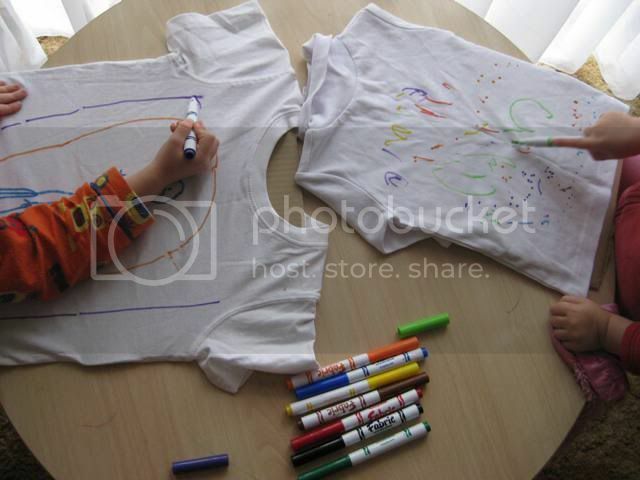 Take some plain t-shirts or tops (these ones cost me $1 each in the end of season clearance rack) and some fabric markers. 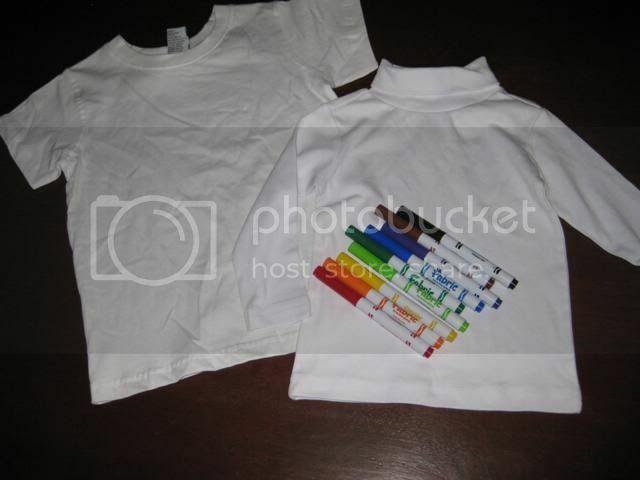 Place some pieces of cardboard inside the shirts to stop the markers going through. Now let your kids loose. 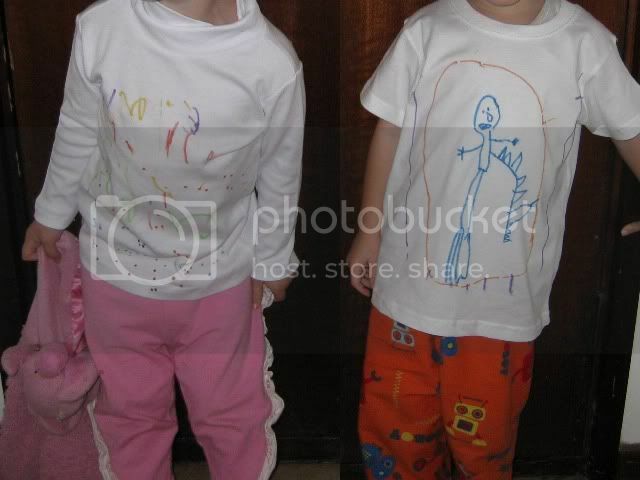 Set the ink according to the package directions and you have some great new shirts your kids will be proud to wear and call their own.